Pretty bell-shaped glass and brass Barovier Murano chandelier from circa 1940. A perfect example of "Rostrato" (pulling the glass while its still hot to make small spikes or domes of glass). 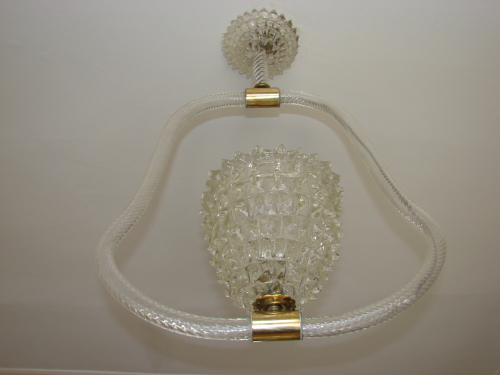 The glass upright bowl, holding the bulb fitting measures 18 cm high by 18 cm wide.